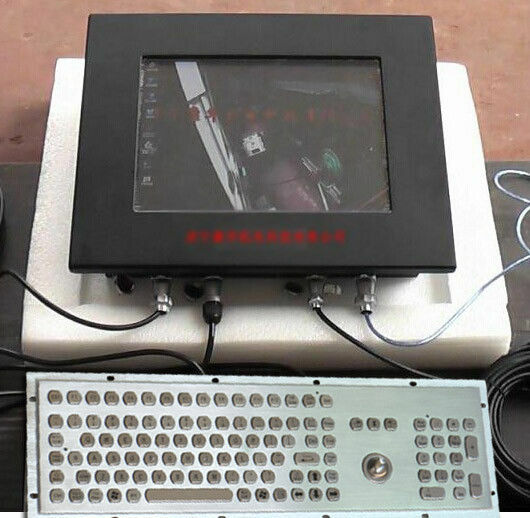 • Rugged stainless steel Computer keyboard,109 Keys PC-Keyboard Standard Layout, integrated laser trackball, separate FN function keys and number keypad; IP65 dust-proof,water-proof,Vandal-proof Performance. 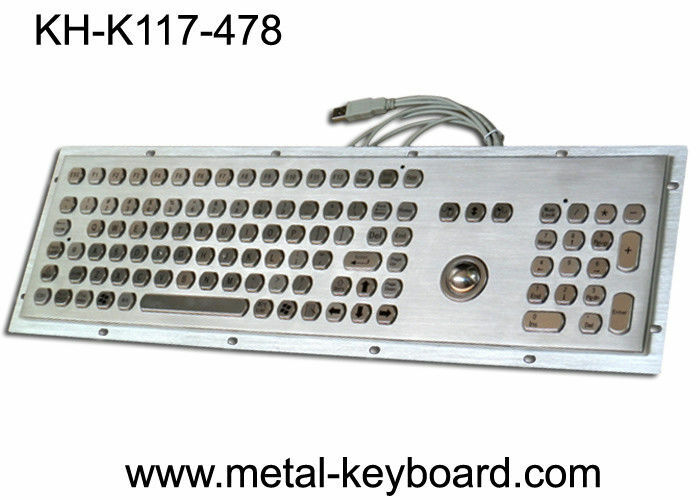 • 109 Keys stainless steel standard PC-Keyboard, full-travel(2.0mm) keys. 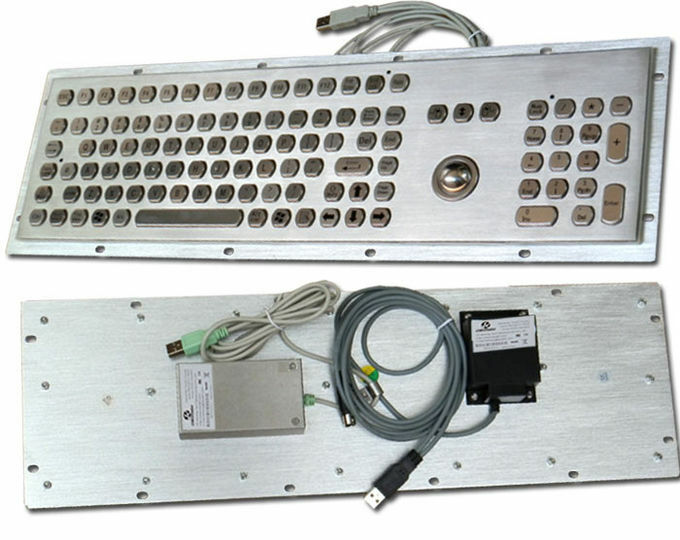 • This Industrial Stainless steel Computer Keyboard is mainly used for unsupervised or semi-supervised positions of varied access applications, internet terminals and information kiosks at universities, shopping malls, hotels, banks, airports, railway-stations and other public areas.